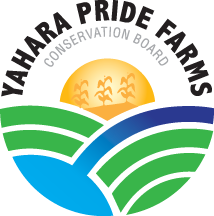 The purpose of this study is to identify the best seed types/seed type combinations, planting times and planting rates for the Yahara watershed. This information is imperative for educating our watershed on which cover crops will maximize conservation and economic benefits. A key part in this educational outreach has been updating our watershed throughout the process-such as having the plot on display at the 2013 Fall Field Demonstration Days. 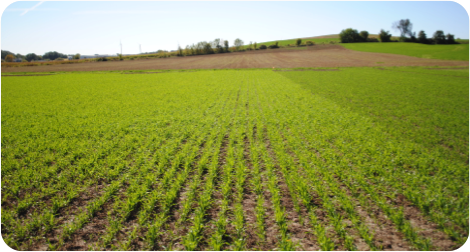 In November, end of the season measurements were recorded to compare the cover crops. The measurements taken included: ground coverage, height of cover crops, soil temperature, biomass using two square foot samples, and soil samples to one foot for nitrates. Calculations that will be performed include soil lost estimates using biomass, phosphorus index measures and seed costs. According to Heidi Johnson, Dane County UWEX Crops and Soils Agent, there are many short and long-term benefits of using cover crops. Long term benefits include reduction in soil erosion and long-term improvement in the soil condition which leads to: increased yields, reduction in N fertilizer need and higher yields in years with environmental stresses. Short-term benefits include a provided nitrogen credit and a potential increase in subsequent crops yield. To learn more about farmer’s experiences using cover crops, click here.